ESKOM is planning two new transmission power lines in the Southern Cape, one of which might go over the Swartberg mountains. 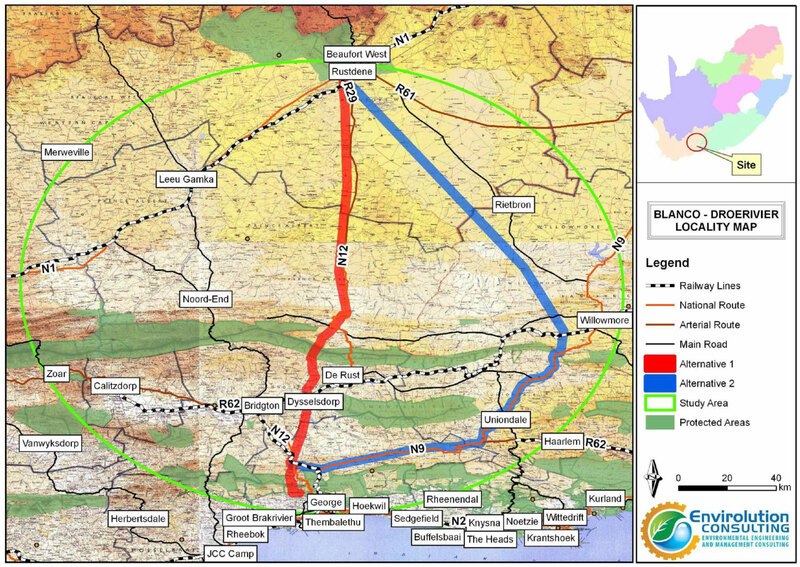 The development entails the construction of a 50-60km long 400kV Transmission power line from the Gourikwa Substation at Mossel Bay to the Blanco Substation at George, and the construction of a 200km long 400kV transmission power line from Blanco Substation to the Droërivier Substation at Beaufort West. The route from Blanco to Beaufort West goes straight over the Swartberg mountain range, west of Meiringspoort and the power line requires a 62 metre wide servitude. There is an alternative route which follows the N9 before skirting the eastern end of the Swartberg. You can download the Background Information Document for more information. If you are interested in being included in the Public Participation Process, you need to register as and Interested and Affected Party (I&AP). You can contact Sam Scott for more information. Envirolution is doing the Environmental Impact Assessment (EIA) for this project and more information can be found on their website. The liquorice plant grows wild in the Cango valley, but nowhere else in South Africa does this occur.